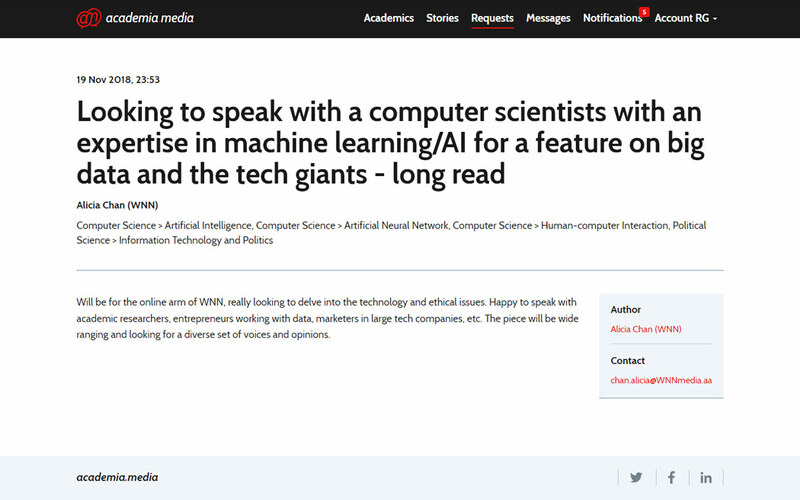 academia.media is a platform for academics and communication professionals to engage with the media. 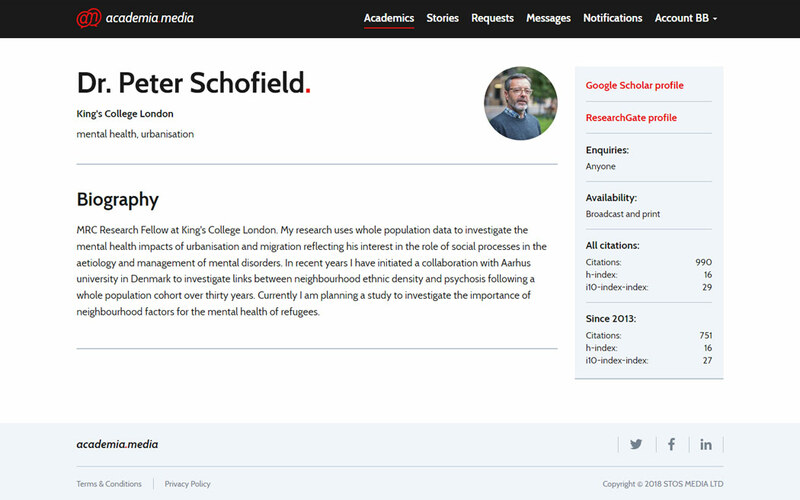 We provide academics with a means to communicate their research and share their expertise. We provide media with a directory of experts who welcome media enquiries and source of expert comment on breaking news. 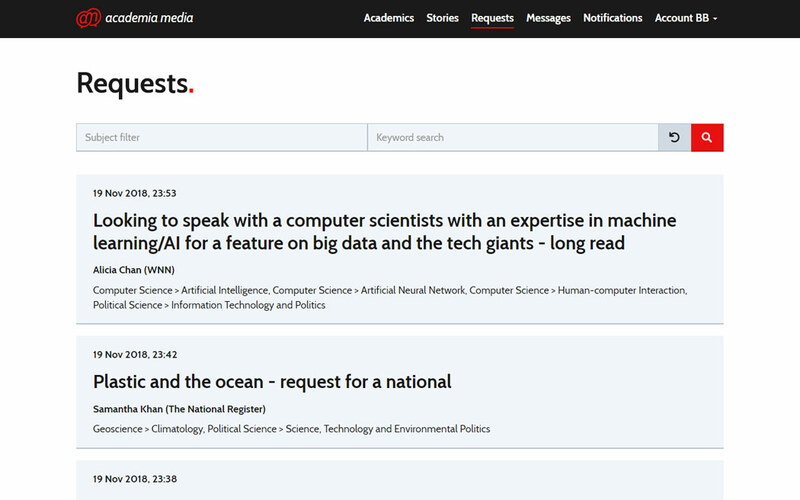 View media requests for academics with your expertise. Choose which sections of the media you receive enquiries from. Comment on press releases and add your expertise to stories. 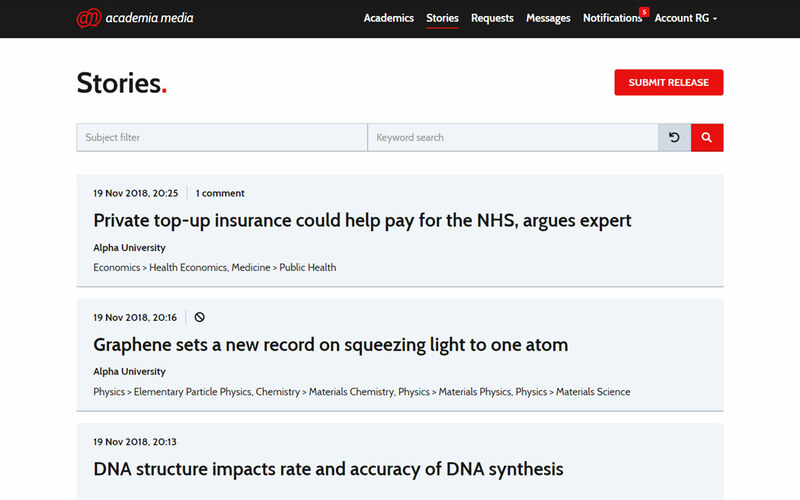 See which academics in your field are engaging with the media. Promote your research and raise your profile. Have your institution's comms team manage your media enquiries. Submit press releases and generate stories. 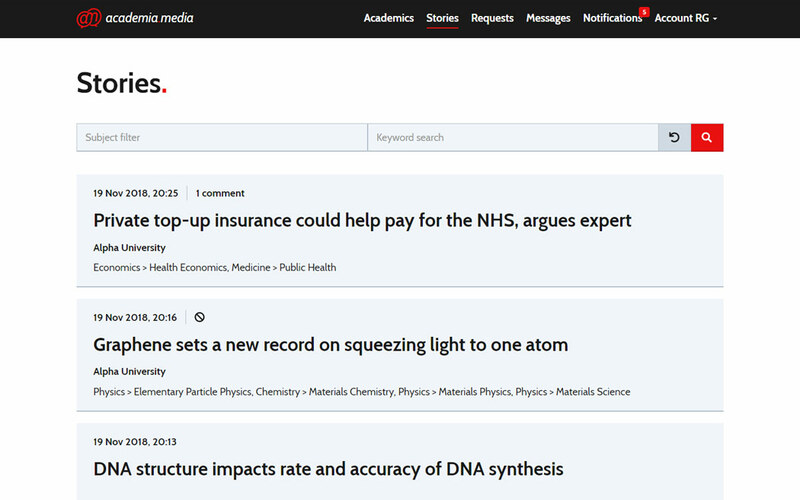 See which academics are engaging with the media. Raise the profile of your institution and its academics. Manage your institution's communications in one place. Monitor media requests for expertise at your institution. Communicate on behalf of academic and comms colleagues. 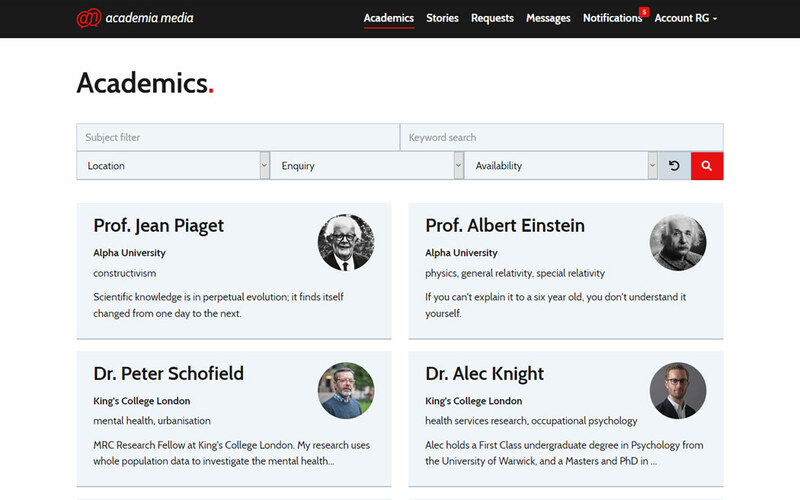 Search a directory of academics wanting to engage with the media. Sort by expertise, biography, location and availability. 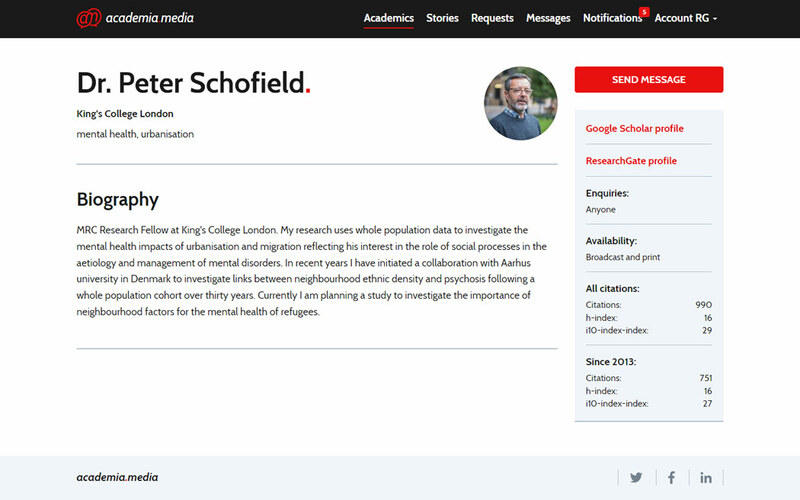 Have requests sent directly to academics and comms teams. Speak to academics who can enhance your stories. View and search through press releases to source stories. 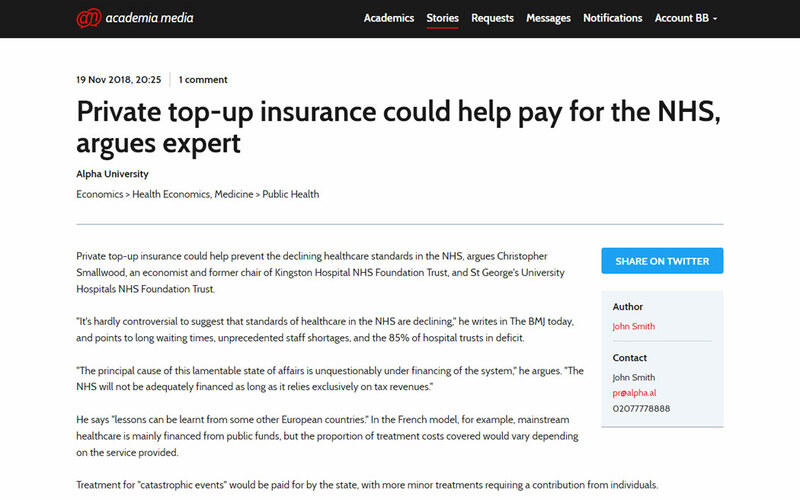 Access an archive of expert comment approved for publication.